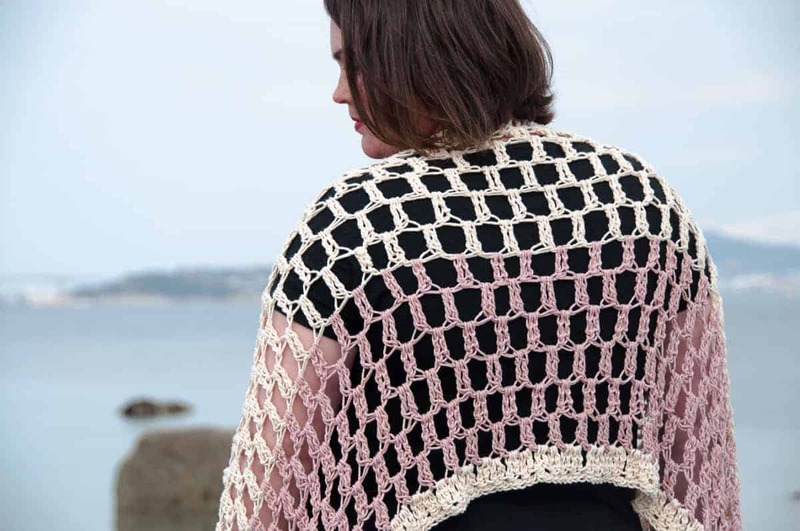 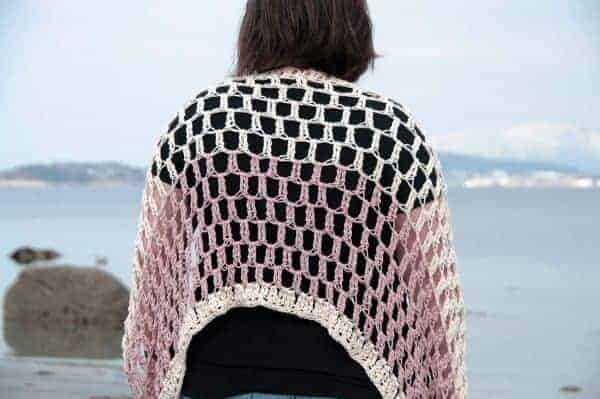 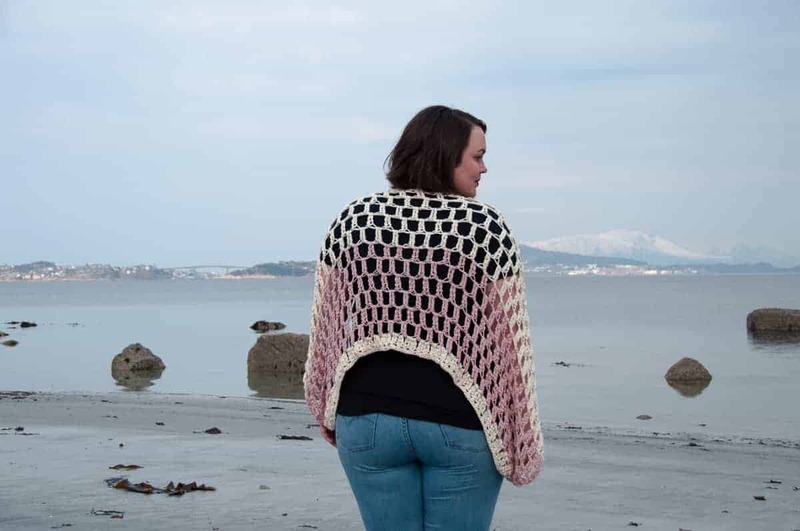 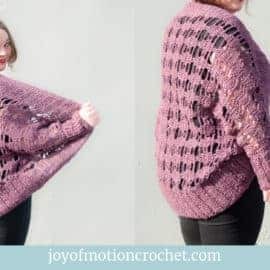 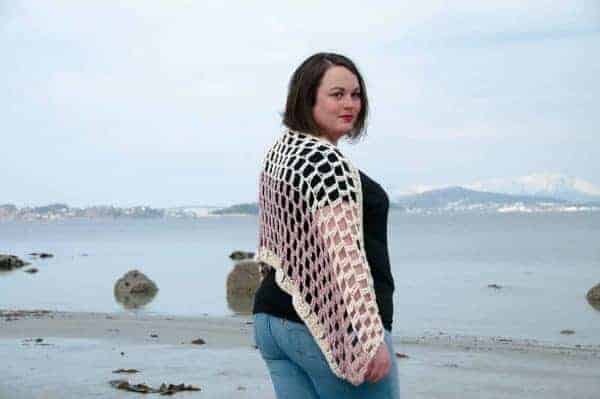 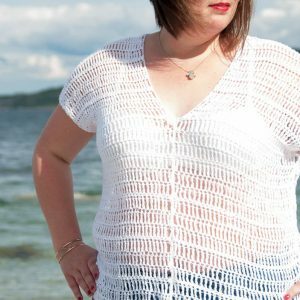 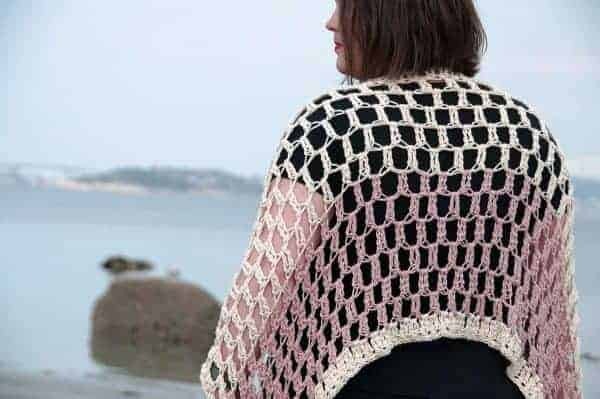 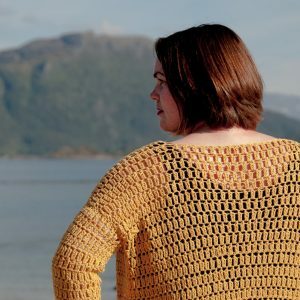 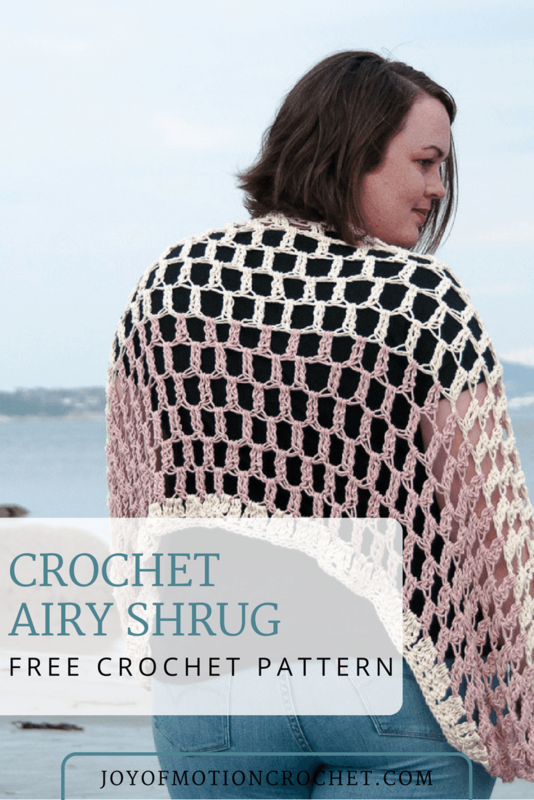 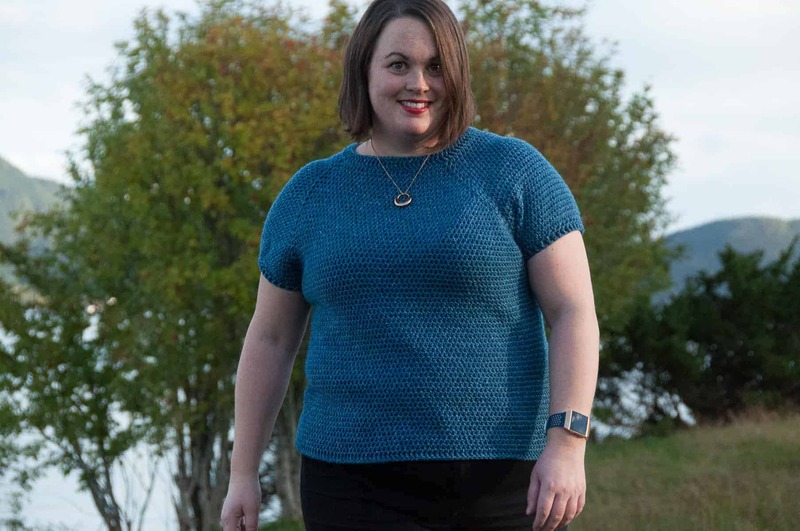 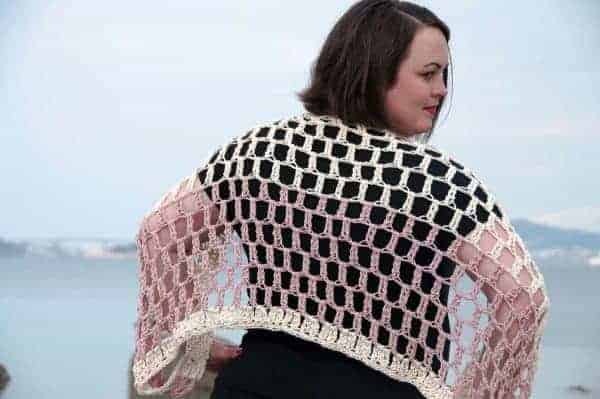 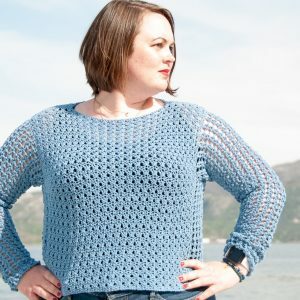 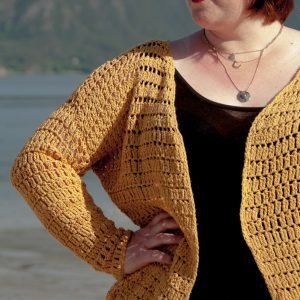 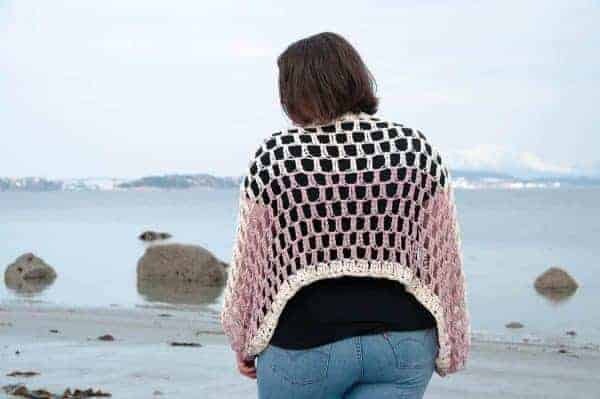 The Airy Crochet Shrug is essentially just a crocheted rectangle. 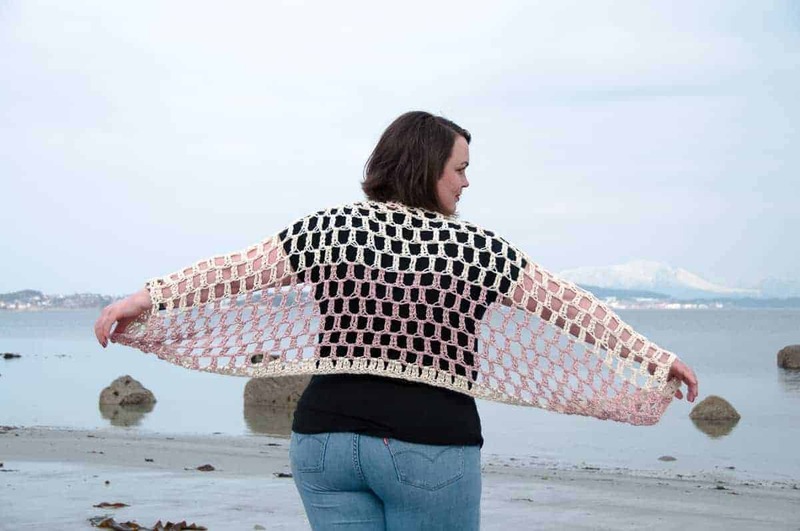 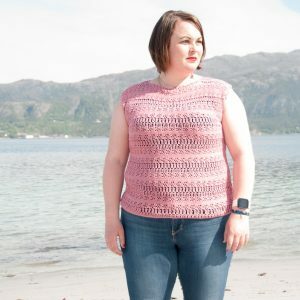 To make it into a garment, you have to assemble it to make the armholes. 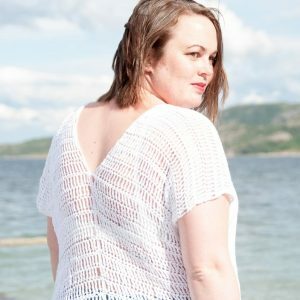 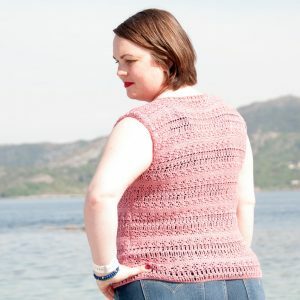 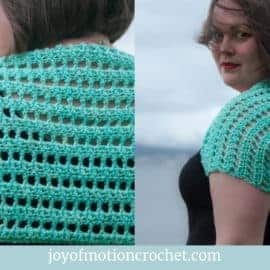 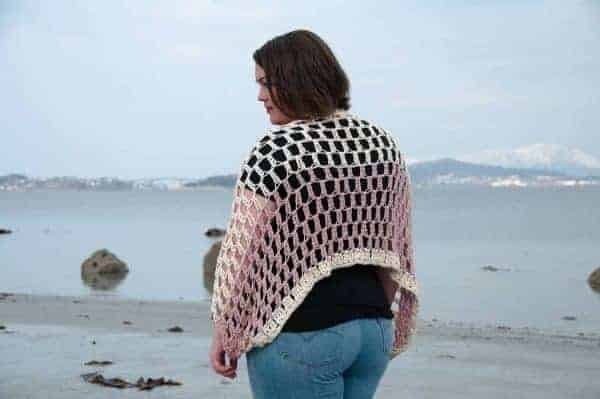 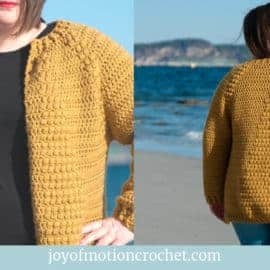 The shape of this crochet garment, is not your typical bum hugging crochet shrug, as it is shorter. 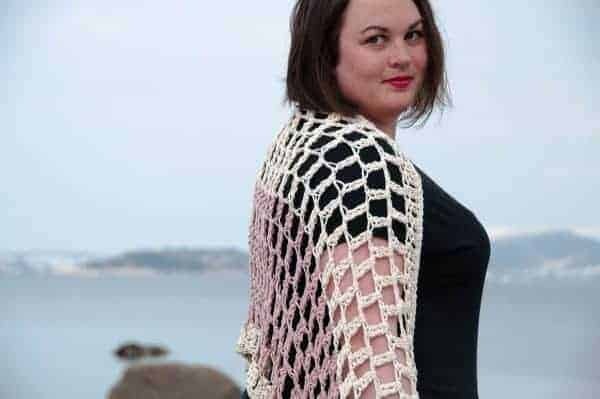 But, it is a unique crocheted piece for your wardrobe. 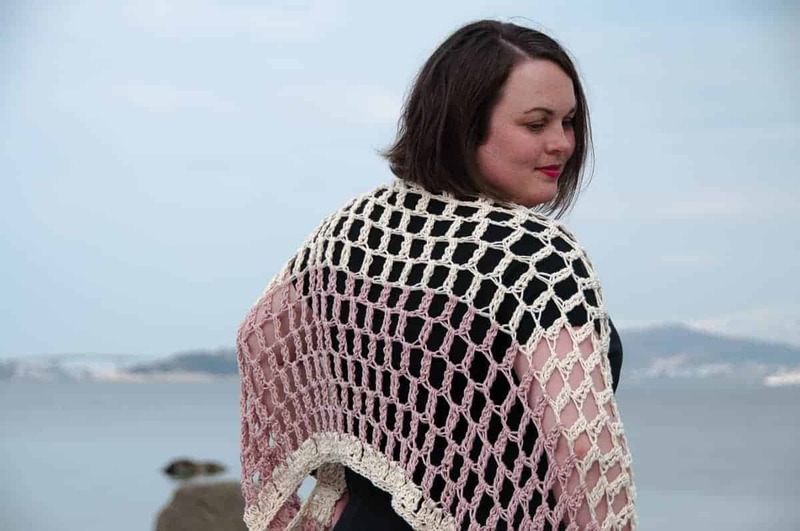 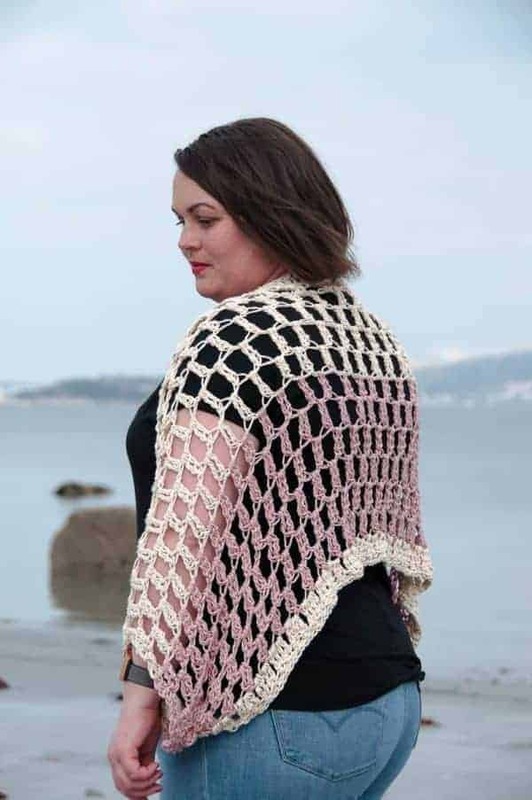 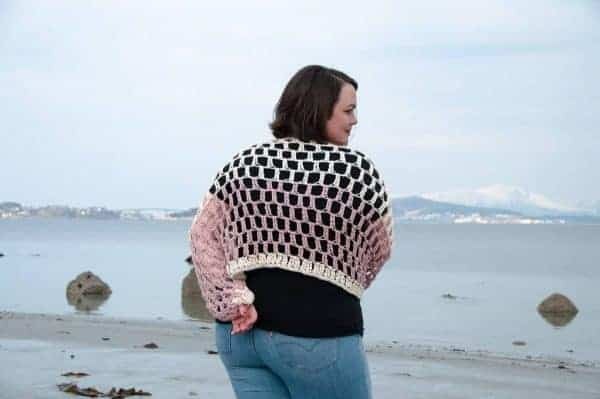 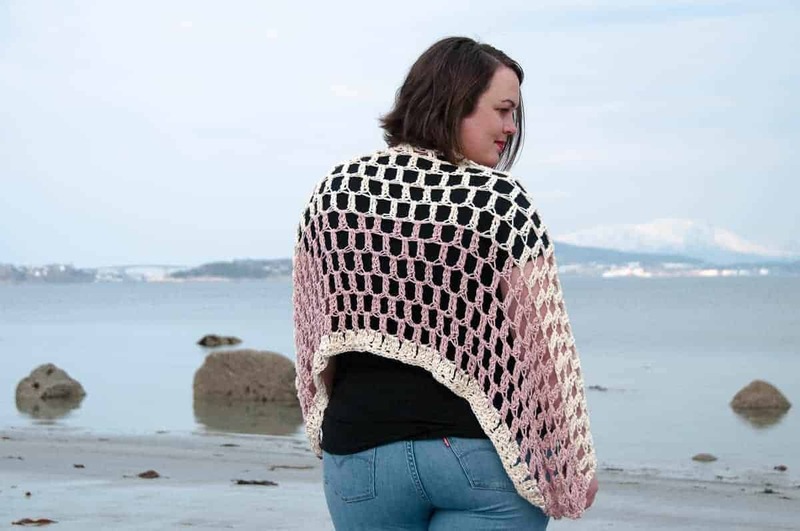 I’m tempted to also call it a shawl, because it would function in the same way as a summer shawl. 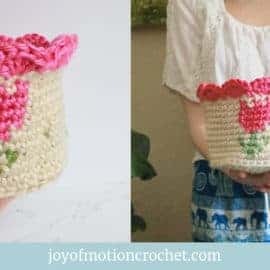 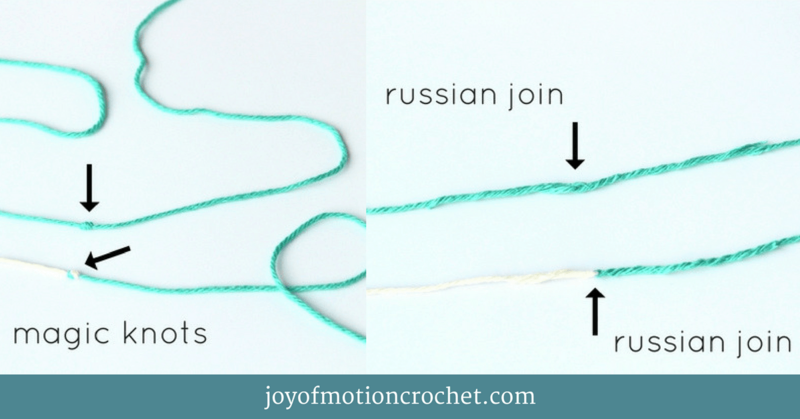 Or substitute with any yarn from your yarn stash!